Use FME’s data conversion and integration technology to leverage Revit BIM assets with your GIS and other enterprise applications. Once you have FME Desktop and Revit installed you're ready to go. 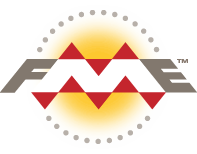 If you do not have a licensed copy of FME Desktop you can either download a free trial of FME Desktop, or download the standalone FME Exporter for Revit plug-in (details on using the exporter plugin). Autodesk Revit is building information modelling (BIM) software for design and construction professionals. FME lets you integrate many applications and file formats. Here are some of the ways our users convert IFC with Data Views for Revit. The table below outlines how IFC with Data Views for Revit is supported by our different FME products, and on which platform(s) the reader and/or writer runs.